Contemplating a calm, cool and collected haven of sorts? Wanting something that is modern, but allows you to bathe in luxury? 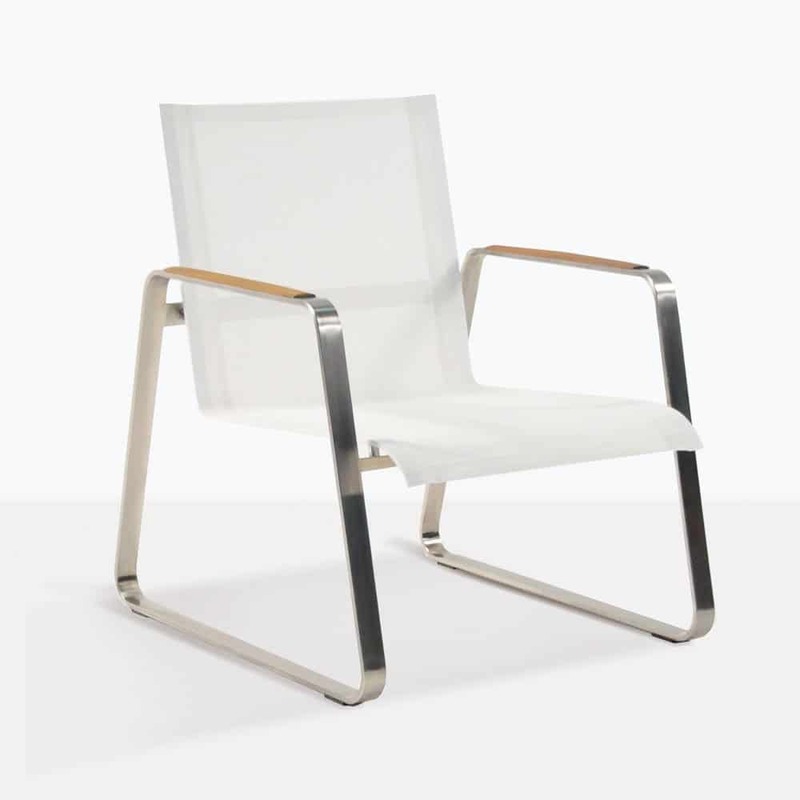 May we introduce the stylish presence of the Summer Stainless Steel Batyline® Relaxing Chair in eye catching White. This prominent piece of furniture is truly remarkable with its handsome blend of contemporary materials and sleek, chic design. 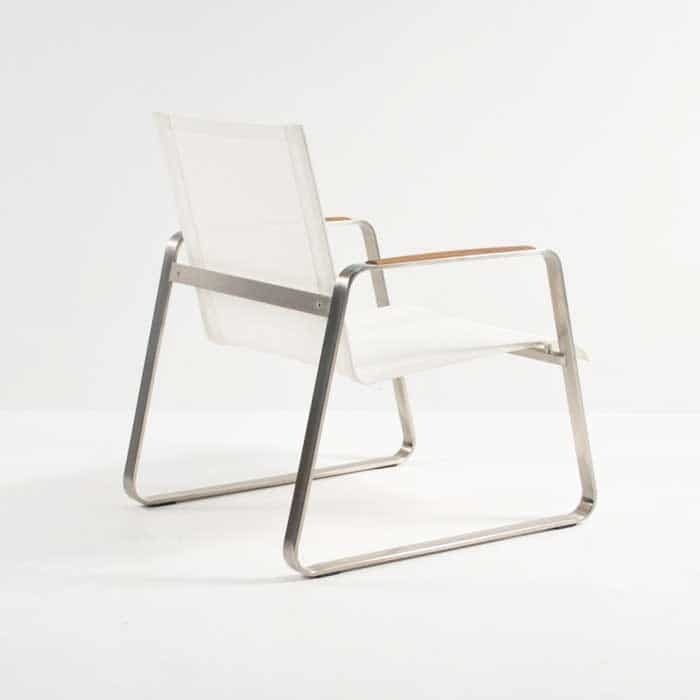 The Summer Relaxing Chair in White features a sleigh like base, which alongside making for an extremely comfortable chair, is an airy and fashionable look that suits a great range of areas. 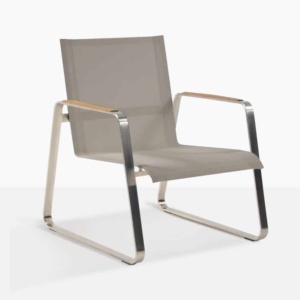 Imagine 4 White Summer Batyline® Stainless Steel Chairs lined up along your balcony, presenting themselves to the view… all you need now is to sit down with a drink in hand, some great company and rejoice in a stylish area that supports you with comfort and charm! 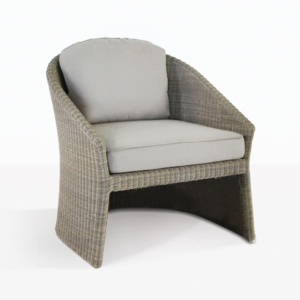 Our Summer Relaxing Chair is made from top quality, luxury materials, which enable you to breathe easy in a product that will stand the test of time. The frame is robust and strong, made from #316 Stainless Steel, a marine quality steel that won’t rust or deteriorate outdoors. 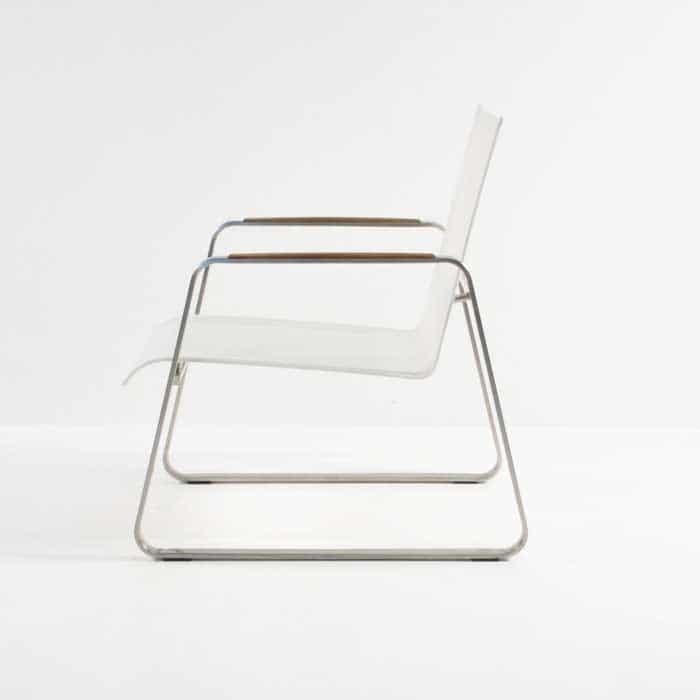 The mesh that makes up the comfortable, dreamy chair is none other than Batyline® fabric. Often used on boats and in high performance sports equipment, Batyline® is a top material for outdoor use. And the tiny little teak accent? That to boasts top of the range Grade A Teak, because we want you to experience extreme opulence and high quality. 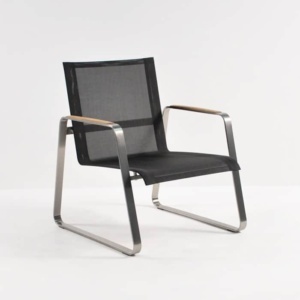 Design Warehouse is at the leader of stylish furniture for outdoors. We carry an incredible range of products, from rustic dining tables to delicate all-weather wicker, we are proud of our many options and our commitment to quality above all. The Summer Batyline® Relaxing Chair is available in White, Black and Taupe, so you can pick a colour that suits your style. As well as these, the Summer range carries two styles of dining chair, a lounger and a side table, so you really can get ‘your chic on’ with the Summer Collection from Design Warehouse!